I had the opportunity to recently sail for 3 nights on the Celebrity Equinox out of Miami with a Nassau port of call. I hadn’t been on a Celebrity ship for about 9 months and I personally always enjoy cruising with Celebrity. This cruise was for the 2018 Celebrity Cruises Corporate & Incentive Advisory Board of which I am a member. The Equinox was built in 2009 and the second in the Solstice Class of ships. Carrying 2,850 guests she is consider a mid-size ship compared to most newly build ships today, but with 12 bars and 9 restaurants she will easily keep you wined and dined for a week. As food has always been one of the pillars of a Celebrity cruise, the Equinox does not disappoint. The Tuscan Grill, an Italian Steak House, has great food with floor to ceiling windows at the aft end of the ship. We have used the venue many times on a private basis for our groups and it is truly spectacular. Another personal favorite is Murano, their top of the line restaurant with classic and inspired cuisine. The main restaurant is deck level with an open center and highly impressive. Suite guests have a private restaurant and bar. I would highly suggest pre-purchasing a discounted dining package as part of your program. Most of the cabins on the ship are veranda cabins that have 194 sq. ft. of interior space and a 54 sq. ft. balcony which is large enough to have a table and 2 chairs for room service breakfast. They are very tastefully done with plenty of closet and drawer space and a very generous size bathroom. The Concierge Class cabins are virtually the same but come with additional amenities such as sparkling wine and fresh fruit on arrival, a special embarkation day luncheon, priority boarding and disembarkation, nightly canapes delivered to your room and special assistance for any ship service. A nice touch for your VIPs. With a total of 12 bars and lounges on this ship there is never a problem finding one for your private cocktail parties. There are wine bars, martini bars and every flavor and style in between. Several feature live music and dancing. The largest one holds about 600 which is perfect for your larger groups. Overall this ship has a nice contemporary feel to it. You will feel very comfortable on this ship with many smaller venues to enjoy some quiet time away from your fellow passengers. A special Celebrity feature is their lawn club with a bar and dining option. Play a game or come back for a movie under the stars with dinner. The ship has nice meeting space for around 200 in a dedicated facility. 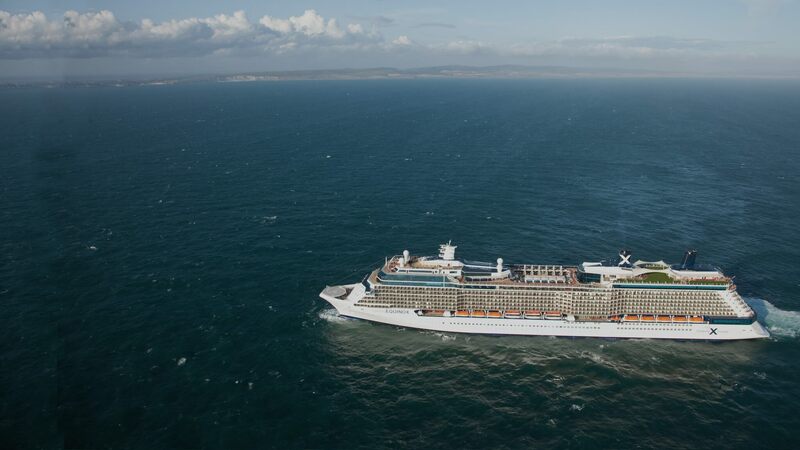 What makes Celebrity different than other cruise lines? For one thing, this cruise is really for adults. While they take children this is not their focus. All activities on the ship whether it be entertainment, food, beverage or service, is truly geared to an all middle age adult crowd. The gift shops are even a step up and not focusing on trinkets and trash. While there are spending opportunities everywhere they are not in your face about selling anything and everything. Celebrity is an award winning premium cruise line and is perfect for most incentive groups of moderate size.